The Thompson submachine gun is a legend in artillery and gangster circles. In the 1920s, the ‘Chicago Typewriter’ cost half as much as a new Ford car, thanks to the intricate machining of its metal and wooden parts. 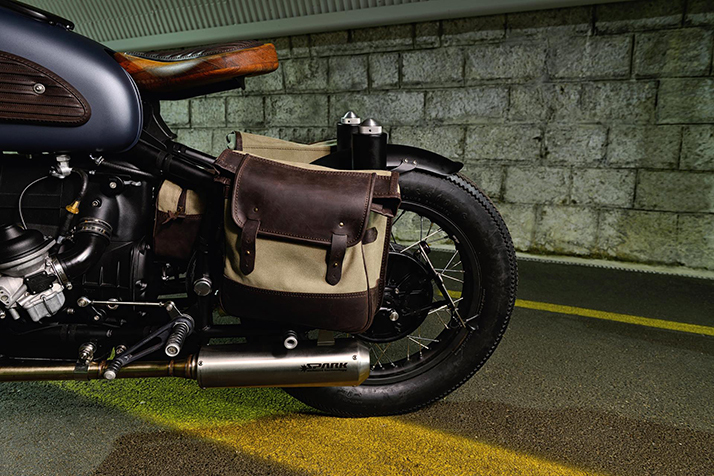 It’s also the inspiration behind this new build from Slovenia’s ER Motorcycles. "Criminals endorsed the Thompson because of its compactness, reliability and ergonomics,” says main man Blaž Šuštaršič. “They’re features you’ll also find in this BMW R69S." The bike is a commission from a German doctor, who wanted his own version of ER’s acclaimed ‘Mobster‘ build. The first four letters of the doctor’s name are ‘Thom,’ and so the train of thought was set in motion. The first job for Blaž and his crew was to figure out how to go one better than Mobster. "Our challenge was to use it for our inspiration, but we had to surpass it in many ways. We wanted to build something that speaks of history and craftsmanship, but also modern technology." 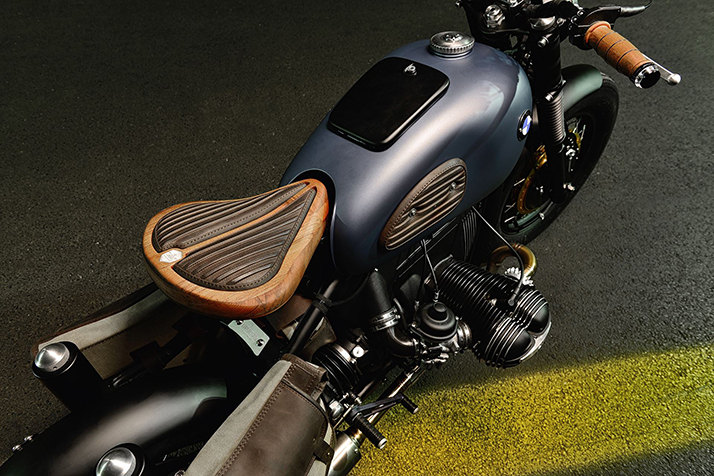 They decided to use warmer, natural materials as a counterweight to the metal details and the blue of the classic BMW Schorsch Meier fuel tank. 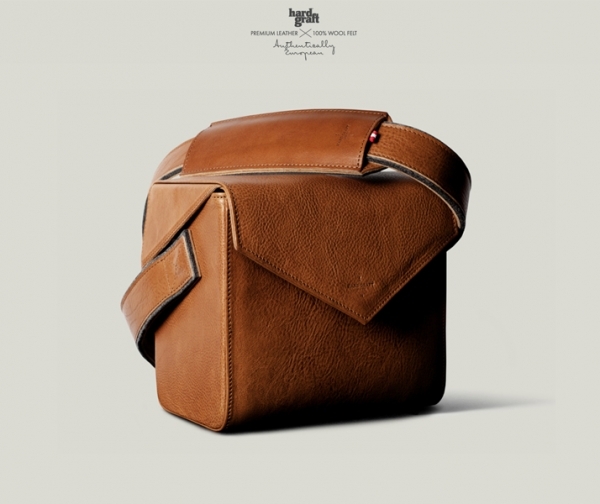 There’s more leather this time, and even wood—the seat is cut and shaped from a slab of teak. 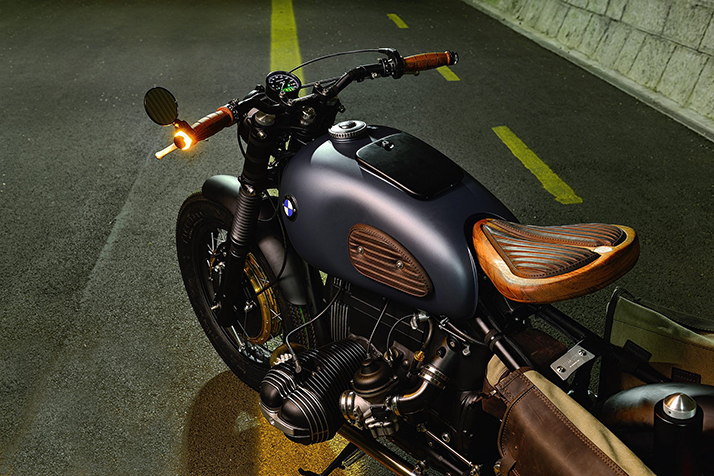 Mechanically, the bike is a veritable smörgåsbord of vintage BMW components, although the R69S frame remains. The engine and transmission, thoroughly overhauled, are from an R100. An R80 supplied the swingarm and upper triple tree. The rear wheel is from an R50/5, while the front is a Borrani with Inox spokes (and a Menani drum brake). Both rims are 18 inches. Virtually everything else is custom, from the fenders to the saddlebags to the exhaust headers, which are finished with Spark MotoGP mufflers. 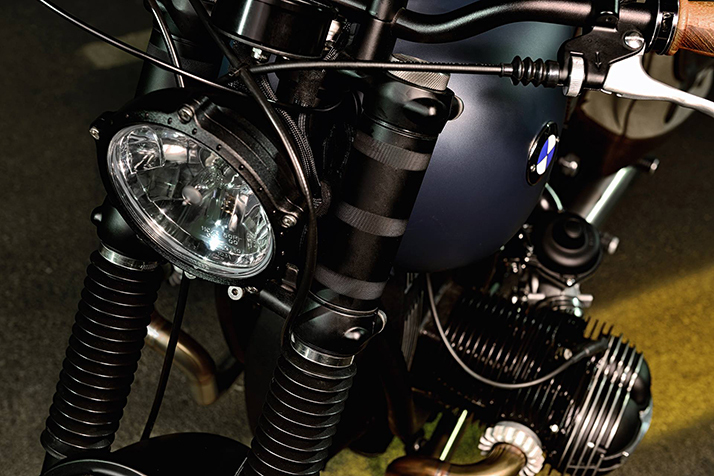 The bars are Renthal, and the new wiring loom is hooked up to a full complement of Motogadget parts—a digital control unit, an RFID ignition system, a Motoscope Classic speedo and miniature push-button switchgear. 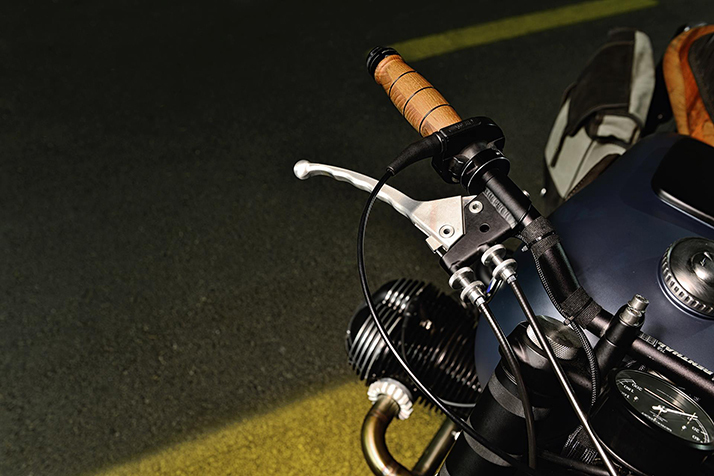 Right at the front is a Roland Sands Design Vintage Black Ops headlight. It’s all very classy, in a dramatic way. Further (unscheduled) drama arrived during the photo shoot. “We chose a dark tunnel in Italy, to paint the mood and atmosphere,” Blaž says. “Then the undercover carabinieri [Italian criminal police] arrived and gave us a hard time asking what we were doing there. And worse, we didn’t have the bike’s papers with us. "But after we explained the situation, they started taking pictures of the bike and forgot about everything. Words can’t describe how relieved we all were!"